You will learn to set your own goals and make a step-by-step plan to improve your health – and your life. You will learn from trained leaders who understand because they have health conditions themselves or care for someone with a health condition. Communication techniques to help make your needs known. The Self-Management Workshop will not conflict with existing programs or treatment. It is designed to enhance regular treatment and disease-specific education such as Better Breathers, cardiac rehabilitation, or diabetes instruction. In addition, many people have more than one chronic condition. The program is especially helpful for these people, as it gives them the skills to coordinate all the things needed to manage their health, as well as to help them keep active in their lives. Please visit our Calendar regularly, Live Well workshops are continuously added throughout WCAAA's 41 towns. WCAAA is currently seeking people interested in becoming Workshop Leaders and organizations to become host sites for the Live Well program. Leaders work with a co-leader and will be trained for free; no prior experience is necessary. Leaders are provided with a well-organized manual for use during the workshops. Host sites will hold the Live Well Program at their organization and either identify two people (staff member and/or volunteer etc.) affiliated with the host site to be trained as lay leaders who will lead a workshop within 6 months of training, and assist with coordinating and marketing the program within their organization or leaders may be available to come to site. If you or someone you know would like to learn more, please call WCAAA at (203) 757-5449 or (800) 994-9422, or for more information on this programs please visit CT Healthy Living. 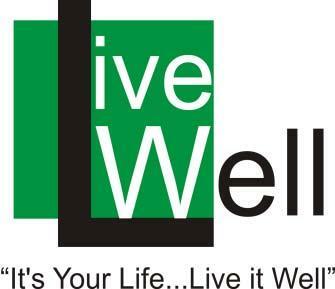 Live Well is sponsored by WCAAA, the State Unit on Aging and the Connecticut Department of Public Health, through a grant from the Administration on Aging.